A belated Merry Christmas to you all. 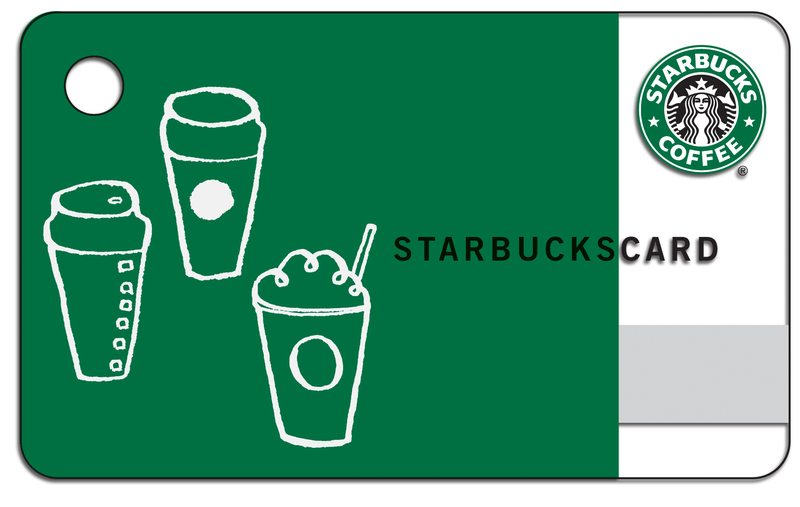 I trust Santa was suitably generous and got you that Starbucks gift card you’ve always wanted. And a happy New Year too. Warmest wishes for 2014 from The English Game. The first day of the New Year is perhaps the most optimistic of them all. A day when our outlook for the coming 12 months remains as yet unspoiled. Daring to dream is still an option. It was therefore chastening for my New Year optimism to be completely dashed by the stark realisation that Chelsea are going to win the league. I’ve seen enough. It’s happening. Sorry to be the one to tread on your strawberries. The West Londoners remain priced at a generous 7/2, so you can at least still more than triple your money on this now crushing inevitability. I spent Christmas at a Premier Inn near Luton. This isn’t some sort of perverse festive tradition. Rather, it was necessary for reasons of an expanding wider family and the usual constraints of space and beds that arise as a result. They say that everything is premier except the price. And they were right, too. The room was lovely. In fact, everything would have been completely fine were it not for the fact that, on arrival, my sister and her husband kindly passed on to me a weapons-grade stomach bug that they had been discretely harbouring. As a result, I spent Christmas Day itself and Boxing Day in a purple-tinted hotel room with my head nestled deep into a toilet bowl. I’m as weak as a baby now and still have haunting images of the picture of Lenny Henry on my dressing table guaranteeing me a good night’s sleep. Believe you me, minor tea-making facilities and a shortbread biscuit provide little by way of comfort in the face of persistent and prompt bodily evacuations. In my feverish state, I just about managed to watch the Boxing Day clash of City versus Liverpool, although Lord knows it didn’t help matters. The second half was almost as perilous for City as my own predicament. Liverpool were moving through City’s defensive line quicker than the pigs in blankets were moving through me. In noro virus terms, City’s careless defending was the equivalent of placing the vomit bucket in the diagonally opposite corner of the room to where I lay. Foolhardy and likely to result in disaster. This contrasted neatly with the manner in which Chelsea undertook the same task three days later. The game couldn’t have started any worse for Chelsea, with Martin Skrtel firing Liverpool ahead from close range in under three minutes. However, Chelsea’s response was urgent and professional. Mourinho’s men were aggressive without being reckless and immediately asserted a businesslike control of the game. Within 30 minutes of the initial hoo-ha, Chelsea had established a 2-1 lead and there was a certain accomplished inevitability of the result from that point on. The New Year’s Day fixtures provided further evidence to bulwark my sense of premier league foreboding. Against Swansea, City again proved that if they want to win the league, they’re going to have to blast their way to the title. At times, there are shades of Newcastle in 1996 about City’s on-pitch demeanour. In a game they could and should have won easily, the scoreline finished 3-2. There were full-backs regularly in the opposition penalty area. Wide midfielders who didn’t provide any cover. In the middle of the park, only Fernandinho seemed desperately keen to win the ball back when possession was lost. It was unnecessarily risky stuff and the self-control seemed lacking. Chelsea, by comparison, put on another disciplined display against Southampton. The lead took a while to establish but there was a care to their performance. If the result was to go against them, it sure as heck wasn’t going to be because Mourinho’s well-drilled team were not following orders. In short, Chelsea are starting to look rather like winners. They are developing the aura of a team who not only know that they should win, but that they ought not to give even the impression that some other result is a possibility. With Manchester City, there is always a feeling that the opposition has a puncher’s chance. Just enough hubris is exhibited to leave the chin exposed to a lucky right-hander. City will blow more teams off the park than Chelsea, certainly. But they will also walk into a few more bear-traps along the way. Especially when things get tight down the stretch and jangling nerves start to override raw talent. It’s turning into goals versus grit for the title this season and usually the latter triumphs. There seems to be more fight about the Chelsea players. A little extra in the way of pluck. I love Ya Ya Toure more than life itself. And, sure, it’s difficult to stop a man the size of a holiday home travelling at 25 miles an hour. But he’s not a warrior. Nor is David Silva. I’m also delighted to see Samir Nasri having a great season. But we saw all we need to know about his resolve when he ducked in the wall against a Robin van Persie free-kick last year. When you’re looking into a player’s eyes to see who has the fire within them to get the job done, it’s hard to eradicate the pitiful image of Nasri on the end of that wall, cowering like Dennis Bergkamp in a first class lounge. In a close title race, having the best manager in the league is also going to be a huge help. Mourinho is a winner, plain and simple. A more irritating winner than he was in his first spell at Chelsea, admittedly. But a winner nonetheless. Contrast this with the Manchester City helmsman. In nine long years managing in La Liga, Manuel Pellegrini didn’t win a single thing. Not a Spanish sausage. For a manager who can include Real Madrid on his CV, that doesn’t make for good reading. I’m not saying he’s a bad coach; he isn’t. However, there is a critical, if subtle, distinction between being a good coach and being a winner; in much the same manner as how playing well and winning are not the same thing either. I thought Mourinho had made a fatal mistake with the paucity of his strikers this year. I struggled to see where the goals would come from. It is quite something that no recognised Chelsea striker scored an away goal in the premier league for the entirety of 2013. Crucially, though, they do have goals in the team. Hazard, Oscar, Lampard, Ramires and Schürrle have all played their part in making sure the net ripples on a regular basis. Chelsea may win the premier league with the least effective strike-force ever to do so but, ultimately, the back of net makes no enquiry as to the identity of the scorer. If you have three or four midfielders all capable of getting well into double figures, the need for the Number 9 to do likewise diminishes. So, there you have it. Chelsea – premier league winners 2013/14. Sorry for ruining the ending. About three minutes in to watching the film Titanic at the cinema, I distinctly remember someone very loudly shouting in from the vestibule “it sinks, he dies”. I fear I may have just done something similar. Like a botched surprise party, you’re just going to have to fake your reaction when the time comes. No spoiling it for Juan Mata if you see him though, please. It looks like he’s going to be forced to sit through it all as well. All the frappuccinos he can drink up to a value of £20 will do little to console Mr Pellegrini.